This recipe gets a mad shout out to Eating Well Magazine. 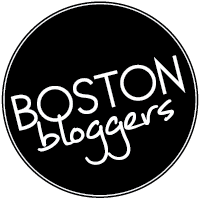 I stumbled upon this recipe a few years back and while it may be a touch labor intensive, I promise you the efforts involved will be rewarded. As I mentioned in last week’s lentil post, cooking lentils can be a bit dicey. This recipe should put your mind at ease if it turns out to be your first lentil cooking experience. Why? You cook the red lentils until the point of mush – failure approved! These burgers are packed with flavor. If you don’t like curry, please select another post to read from the archive (to the right) because that little spice is a big player in this recipe. If there’s one thing I’ve learned in my short, but full 26 years of life it’s to never force feed people curry…or demand fortune cookies from a BBQ food truck…or start a football tailgate in the parking lot of a zoo. I suppose that’s more than one thing. Red Lentil and Cashew Burgers are easy to prepare in advance. Frozen in patty form prior to pan searing makes them an excellent freezer staple with no pre-thawing required. I lay out how to make them in advance below the recipe in the notes section. Don’t let that little sweet heart of yours think I am leading you on. Enjoy these burgers any time of year because no grill is required. Just fresh, honest, whole ingredients are combined to make your diet and kitchen more simplified. Got other lentil ideas? Please leave them in the comment section below. Combine 2 cups water, carrots and lentils in a medium size saucepan. Bring to a boil, then reduce heat to low. Partially cover saucepan and simmer until the lentils are tender and falling apart, 12 to 14 minutes. Drain through mesh strainer pressing out any extra liquid with a spatula. Transfer to a plate and let cool to room temperature, about 20 minutes. Meanwhile, line a cookie sheet with aluminum foil. 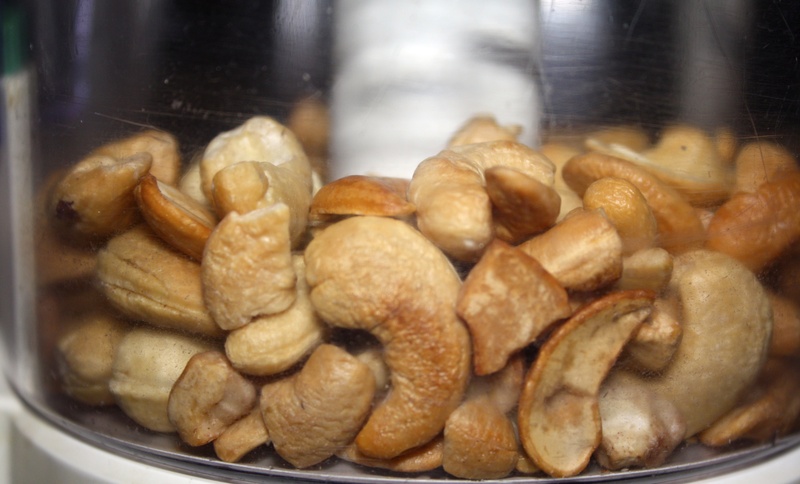 Place cashews on prepared cookie sheet and bake until toasted, about 15 minutes or until golden brown. If you can remember, shake pan halfway through baking to get a good toast on the nuts. Set aside and let cool. Heat 2 teaspoons olive oil in a large non-stick skillet over medium heat. Add onion and cook, stirring, until softened, 5 to 8 minutes. Add garlic, curry powder and the remaining 2 tablespoons water; cook, stirring, for 1 minute. Remove from heat and let cool. Pulse the cashews in a food processor until finely chopped. Add the lentils and the onion mixture; pulse until mixture is combined. Transfer to a bowl and stir in breadcrumbs. *See below for blending note. Heat a few teaspoons of olive oil in a large skillet over medium heat. Form the mixture into six 1/2-inch-thick patties, using about 1/2 cup for each. Cook 2 to 4 patties at a time until evenly browned and heated through, about 4 minutes per side. 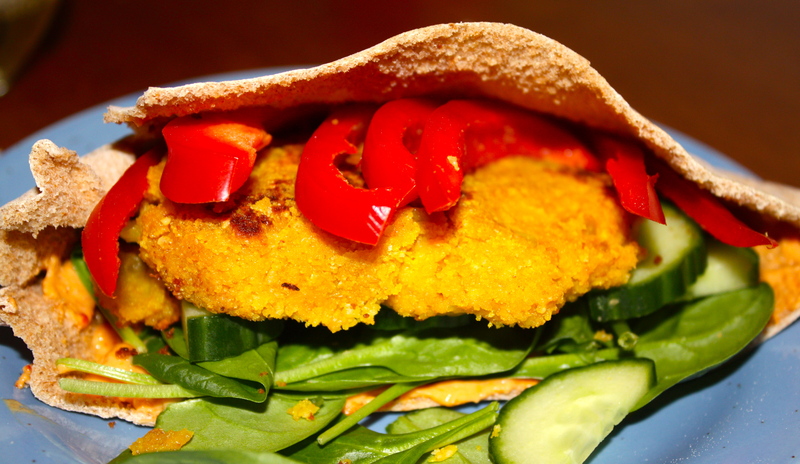 Cut tops of whole wheat pitas off; put a good healthy layer of hummus inside, followed by a cup of spinach, the red lentil cashew burger and slide in english cucumber slices and red pepper strips. Make Ahead: Prepare burgers as directed, stop before pan searing. Wrap ‘raw’ burgers in plastic wrap, place in a freezer bag and store in freezer up to 3 months. When you’re ready to eat them, remove from freezer and once unwrapped, these little guys can go straight into the searing pan! Cooking time will increase by a minute or two per side. Blending: I only have a small food processor. To accommodate the space issue, I blend the cashews, lentil mixture and onions all separately – I place the three blended parts in a medium-size mixing bowl, add breadcrumbs and stir to combine.